When life throws the 'unexpected' at us it can instantly rock the foundations of our 'known' world and put a very different perspective upon our moment to moment perception of day to day life! When I get a bit complacent about it life, it always throws a reminder at me. 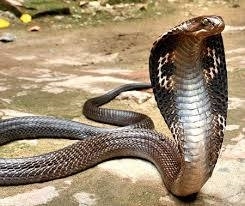 But not usually in the form of a King Cobra! I'm glad you survived the encounter. Lyse, and I love the way you draw a lesson from everything that happens around you.